Although the most common Crocosmias are red or orange, my favourite varieties are the yellow flowering versions such as ‘Honey Angels’; ‘Rowallane Yellow’ probably the most common variety ‘George Davidson’ shown below. Growing from basal underground corms, this plant produces arching spikes during July and August with stylish bright green sword like leaves. 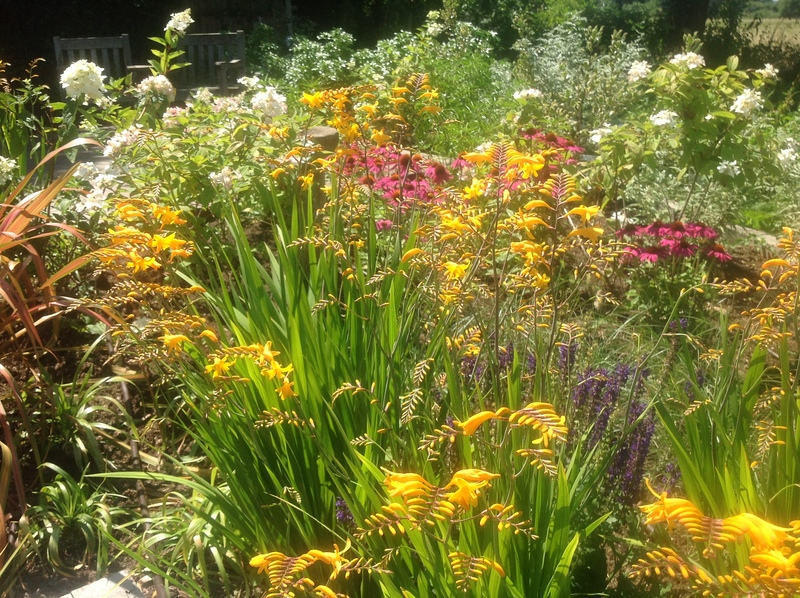 All the crocosmias are great additions to a herbaceous border in high summer. They combine particularly well with the other herbaceous classics such as Agapanthas; Echinacea; Heleniums; Heliopsis; and my favourites, Rudbeckias. They are also a great accent plant amongst soft feather grasses such as Stipa tenuissima. Growing to around a height of 1.2m, they are a versatile plant successfully establishing in either full sun of semi-shaded area, in both acid and alkaline soils and can cope with coastal envirnments. They do require tending every two to thee years when the corms should be dug up, separated and replanted as they will stop flowering of the corms are too close together. The most common of all the varieties of crocosmia is the vibrant orange red ‘Lucifer’. This is taller than other varieties making it even more striking as it flowers above its neighbouring plants. The dramatic colour of the flowers is made as much so against the bright green leaves. An essential for any hot bed. 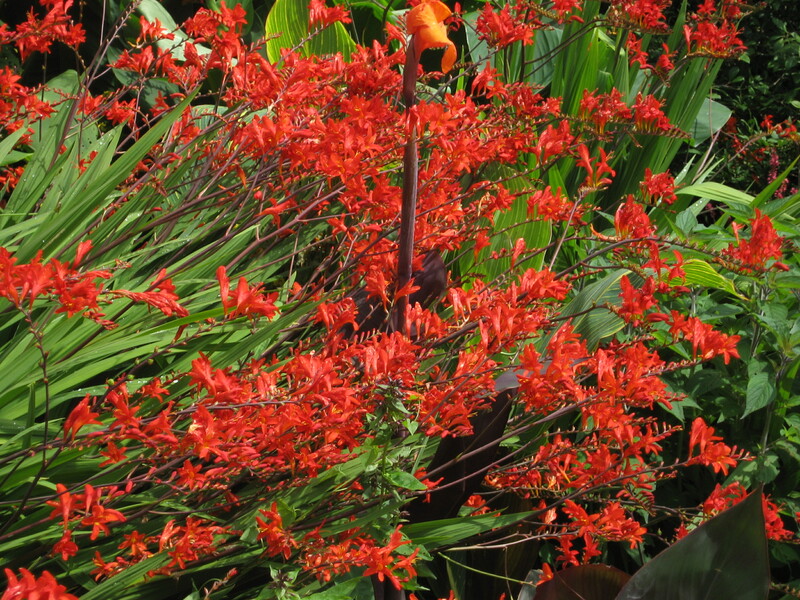 Crocosmia are particularly effective in mixed borders, cottage style and drift planting & informal coastal gardens.